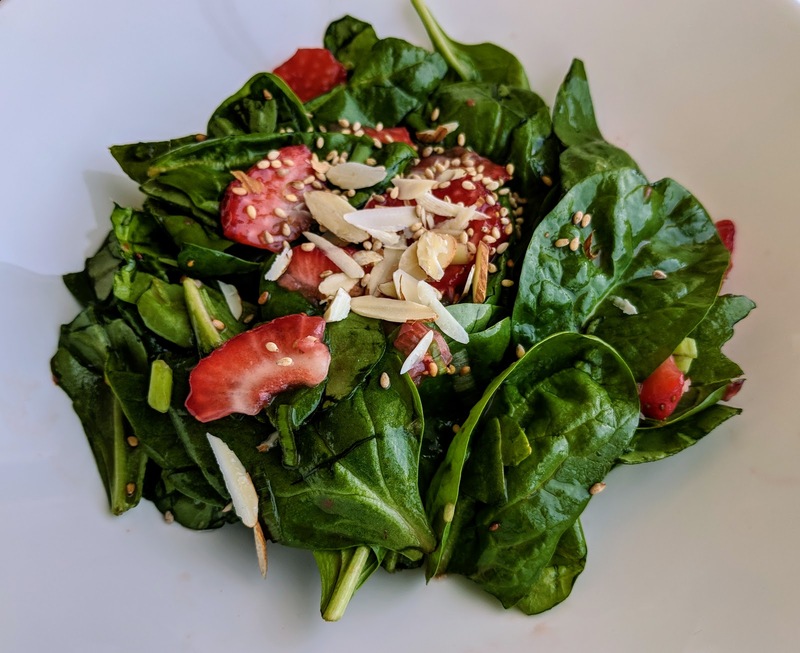 This is another one of my favorite dishes. Like most "recipes" passed on from moms and grandmas, measurements are communicated as "a pinch of" this and "a dash" of that. 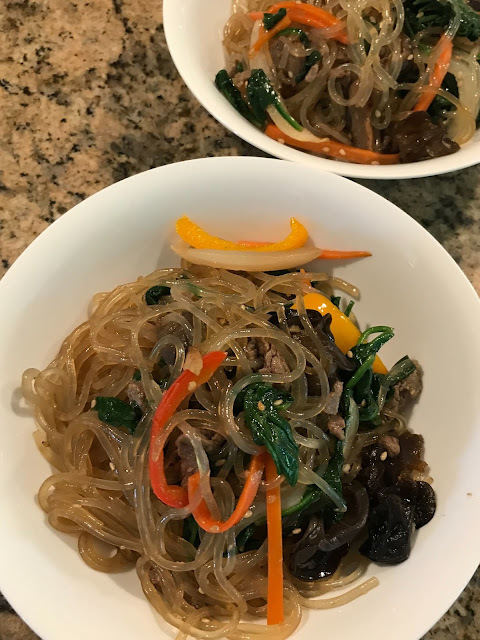 I probably make this all-in-one meal every other week -- by some miracle, my Korean husband has also acquired a taste for this dish and loves it! 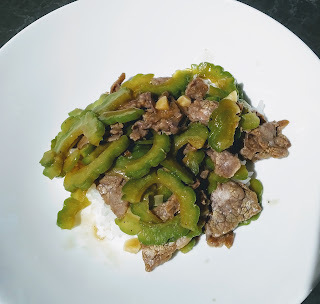 As a result, I've made careful note of the ingredients to blend and balance the sweet and savoury flavour of the beef with the garlicky bitterness of the melon for this dish. 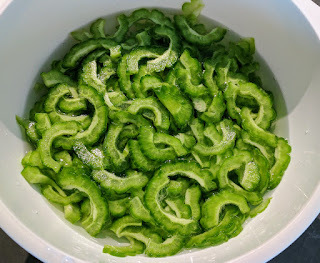 *For a spicy twist, add 1/2 Thai chili, seeds removed and minced. 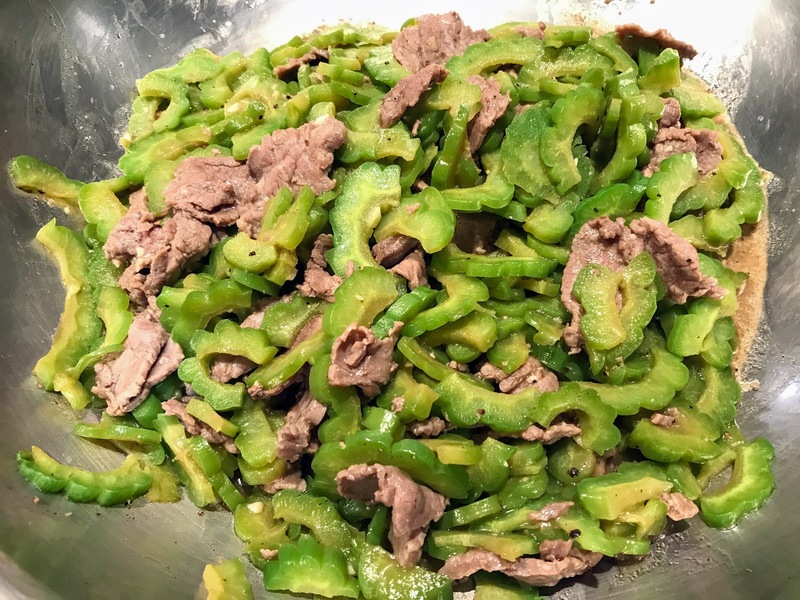 This is one of the standard beef marinating recipe for Chinese beef stir fry dishes. Salt should never be used to marinate beef or pork as it makes the meat tough. If using previously frozen beef, defrost for 1 hour and slice, it is much easier to slice the beef before it's completely defrosted. I love using the De Buyer pan for the beef, cooked on medium-high heat, it gives the meat a nice charred taste. 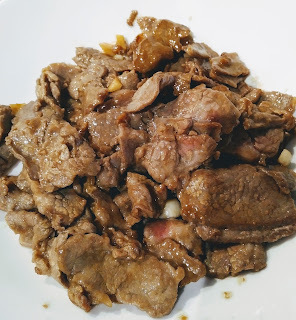 To marinate the beef, mix all of the ingredients except for the cornstarch together in a bowl, add to the sliced beef. 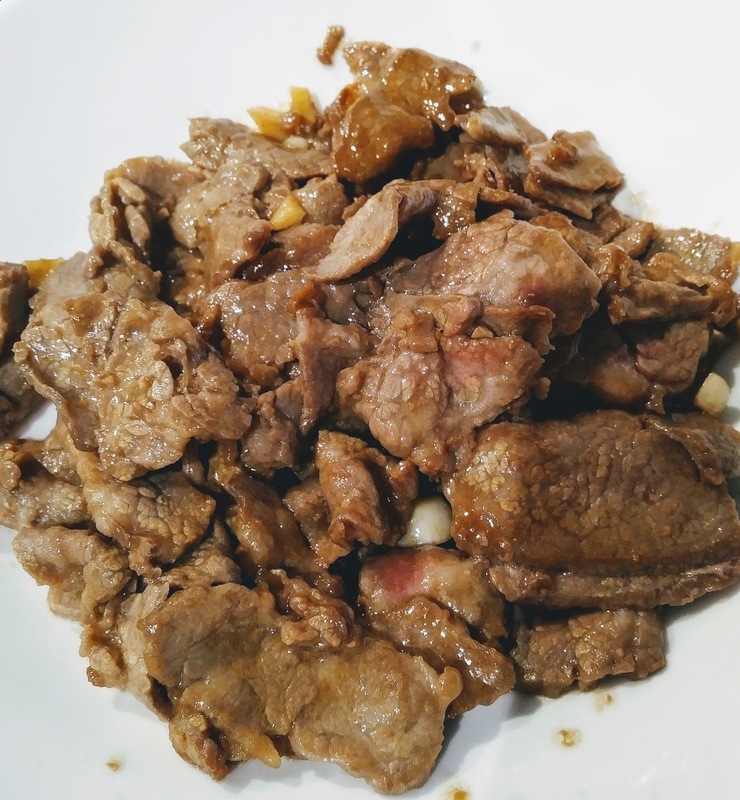 Sprinkle the corn starch over the beef, mix and let it sit in the fridge, ideally for 50 min to tenderize and marinate the meat. 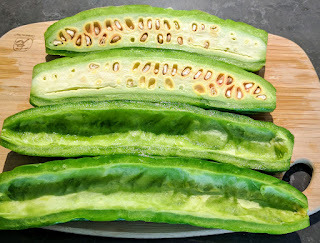 Cut the bitter melon in half vertically. Remove the seeds using a spoon. 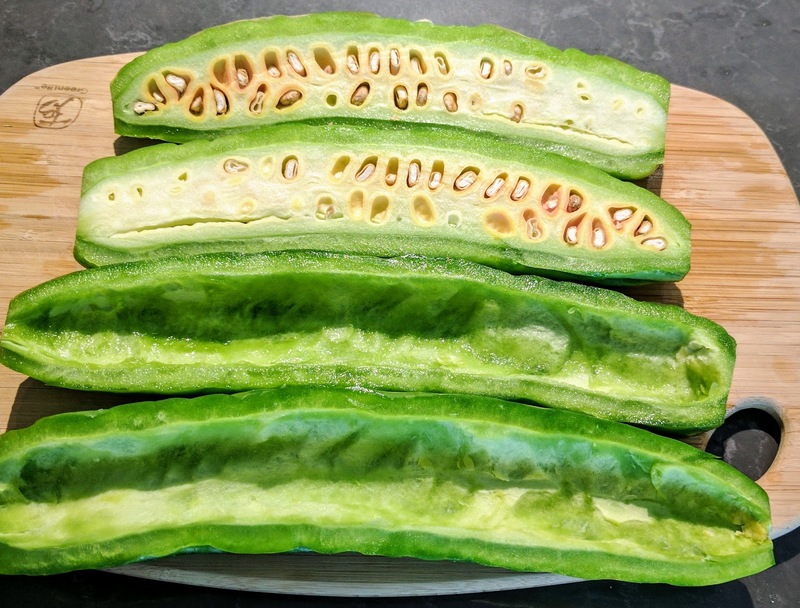 Cut the bitter melon in 2 mm slices. Place the melon in a container with enough water to cover. 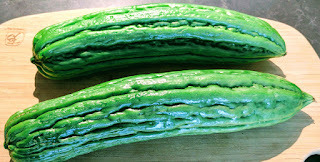 Add 1/2 tsp of salt and mix, squeezing the melon with your hands in the water for 3-4min. This helps remove some of the bitterness from the melon. 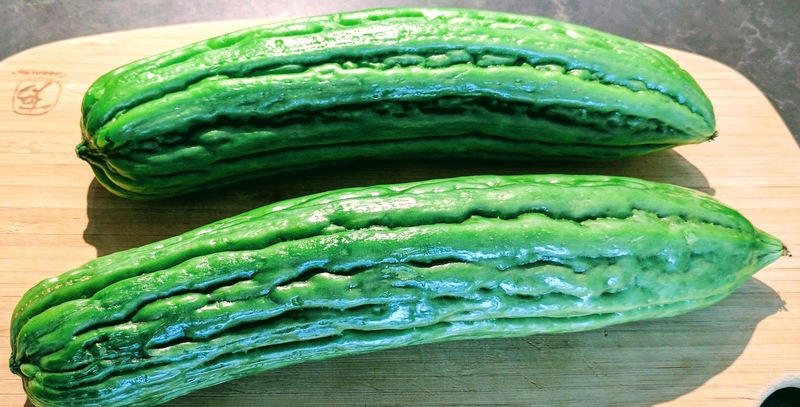 If you love it bitter as it is, you can leave the melon in the salt water for 10 min resting on the counter. Now, add some olive oil to the pan and fry the beef over medium-high heat for 4 min until it's 80% cooked. Remove from the heat and set aside. 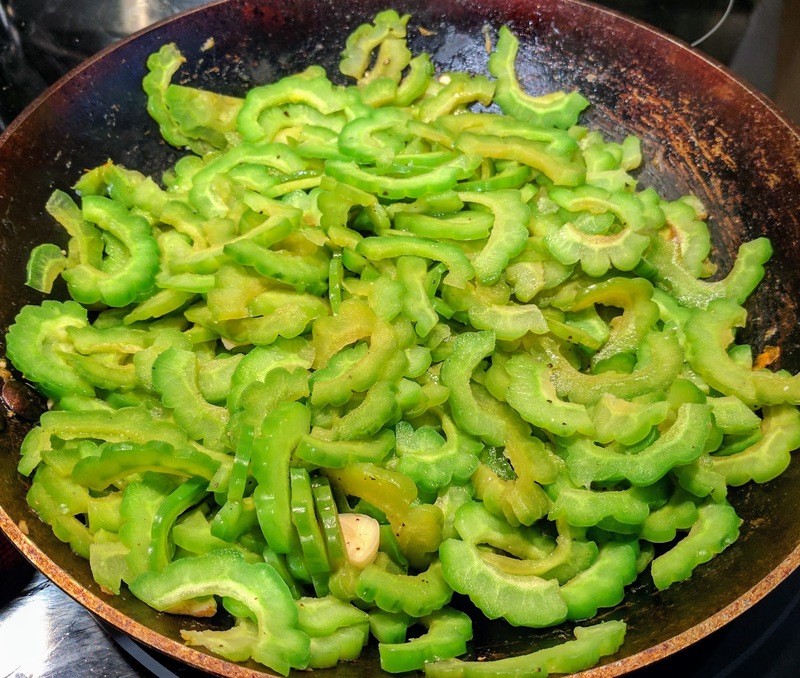 With the same pan, fry the bitter melon over medium heat. Add the minced garlic and cook for 3 min. Add 1/2 tsp salt, the soy sauce, oyster sauce and water and cook, for 8-10 min until the melon is soft with a bit of a crunch -but not overcooked and mushy. Add the cooked beef to the pan and mix in for 1 min. Mix the cornstarch with 1/4 cup of water, bring the liquid in the pan to a boil and pour it into the pan, stirring as you pour. Turn the heat off and continue to mix the thickened sauce to cover.